To be a professional fashion designer the fashion design sketchbooks can be the best option for you. They will help you to maximize your skills through practicing on the existing designs and bring forth the new ideas you were imagining in your mind. By reading these best books about fashion design sketchbooks you will know all the very basic things to start with and step by step learn the advanced things about fashion designing. 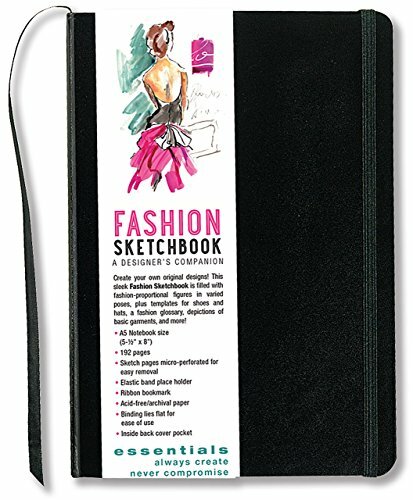 Essential Fashion Sketchbook is a perfect sketchbook for young fashion designers. This book has good page designs and quality which prevents ink from spreading out in the sketchbook. It is filled with over 366 figure templates to create your own designs. It has figures of almost all the parts of the body to be sketched down. There are also foot templates for shoes and heads for hats or make-up design. It provides helpful industry terms and descriptions, size equivalent information, illustrations of basic garments and many more. 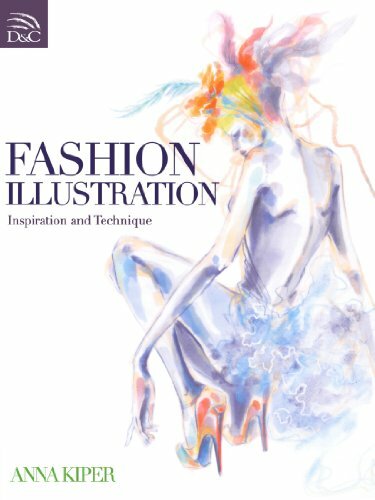 Fashion Illustration is one of the best designing book available in the market. It covers all the specific topics related to fashion designing. The language is very easy and the figures and illustrations are easy to follow. This book presents ideas exactly from a designer's point of view. It comes exciting design details with every illustrations which keeps the reader engage with this book. It is suitable for both newcomers and the ones having knowledge in designing. It will help you discover an exciting variety of media and techniques to enrich your designing capabilities. Fashion Design Studio is a great resource to learn how to draw figures, fashion, hairstyles and many more. It provides great insights on everything anyone needs to learn about fashion designing. It will make you feel like a pro from the very beginning. After finishing this book you will be able to draw more fashionable character. The instructions and illustrations presented on this book is easy to follow and it brings out the creativity in your drawings. This book is equally recommended to artists and designer of any level, beginner to professional. Bring out the inner creativity of yourself by this awesome book and maximize your designing skills. 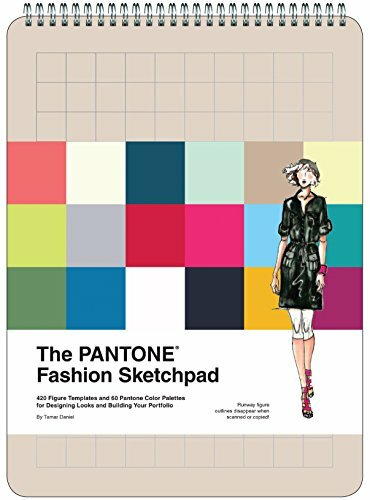 The Pantone Fashion Sketchpad is an amazing fashion design sketchpad with expert guidance from the color authorities at Pantone. This is a very well made sketchbook. The figures, templates and outlines given in this book are very light and well illustrated. This book has lots of small figures to sketch ideas which help you to build your design quickly. It is absolutely perfect for playing around with new ideas and themes about fashion designing. 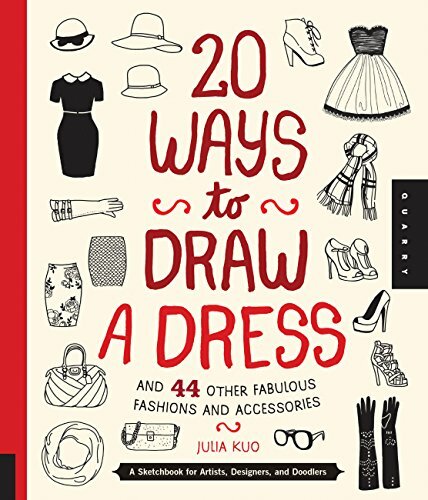 20 Ways to Draw a Dress this is book is amazing as it sounds. It has 20 different ways to draw a dress. Not only that, but also it has other 44 fabulous fashions and accessories to design. This book can be the best companion as a sketch book for artists, designers and doodlers. This book has 20 amazing dress designing ideas illustrated by examples of 45 themes which include black dresses, summery hats, stylish shoes, faux fur coats, and much, much more. It also provides a blank space for you to practice what you have learn. Though this book is not a step by step technique book but the stylized dresses are simplified, modernized and easily understandable. Get out your favorite drawing tool now. 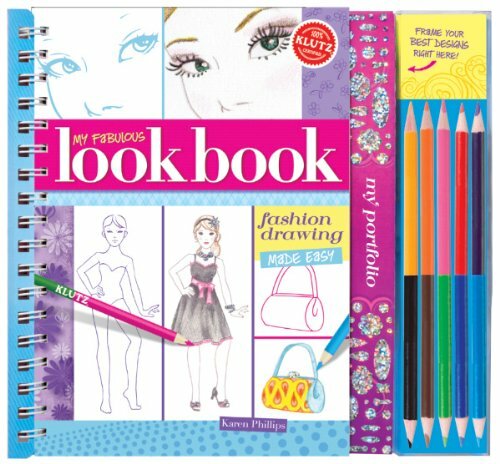 My Fabulous Look Book is a fashion drawing book for the beginner fashion designer. This book covers a wide variety of topics on fashion designing and presents a sketch skeleton on each page. Starting from regular outfits, makeup, hairstyles and accessories with lightly printed outlines of faces, figures, and fashionable extras. The beginning of the book gives lots of examples to help you with ideas so that you can easily come up with one of your own. Get this amazing book and turn your imagination into reality. Sketch and Go: 5-Minute Fashion Illustration is a step by step fashion design tutorial which is up to date with the recent trends. 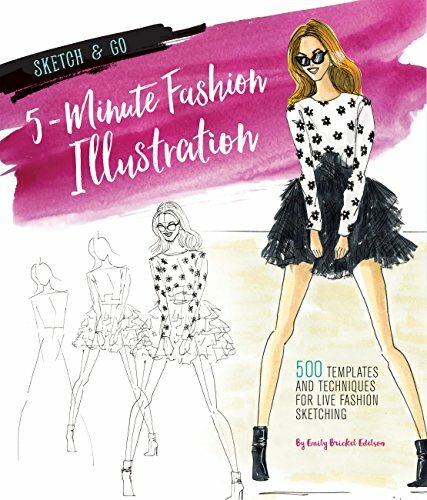 The book covers hundreds of tips and tricks that ultimately teach you how to draw incredibly fashionable illustrations in an almost unbelievably short amount of time, 5 minutes. This book first introduces the basic fashion designing things and then covers all the related topics. It has over 500 templates and techniques for live fashion sketching. Fashion Sketches is a coloring book with over 100s of fashion figures to color on. This comprehensive design book is much needed for new designers. 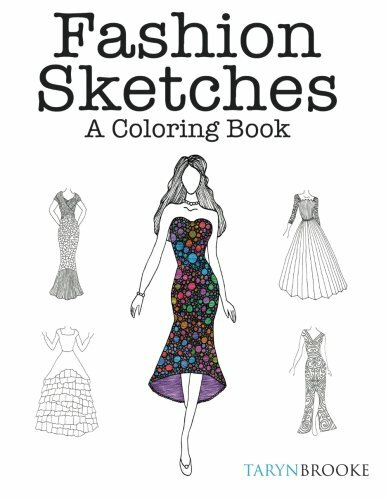 This is a great book if you want to color beautiful dresses. This book has beautiful designs, plenty of room to draw accessories, cover and style that feels so fancy. The coloring papers are made of very high quality. This is by far one of the best adult coloring books you will ever get. With crisp and colorful paper to detailed coloring instructions,this book will amaze you from the start. 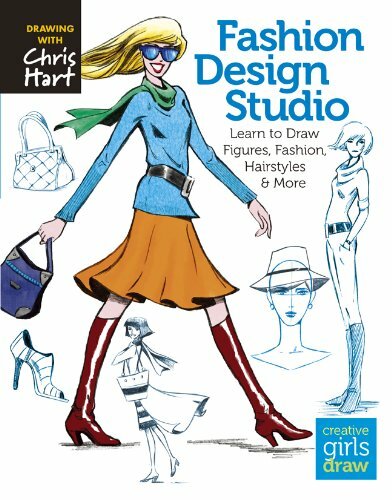 Get this book and start designing your imagination and be a pro fashion designer. 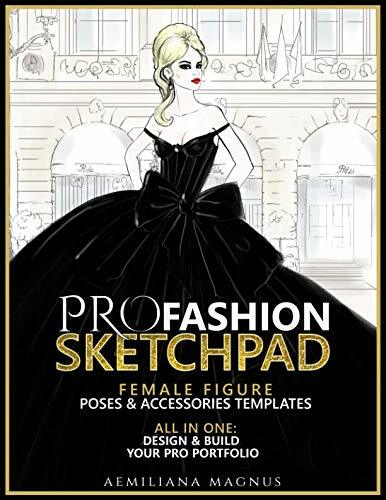 PRO Fashion Sketchpad is a female figure poses and accessories design outline templates with awesome guidelines. It is very appropriate for creative professionals and designers. You will amazed to see how many designs you can create after finishing this book. All professional designs of women dresses and accessories are all well organized in this book. This book will incorporate your design ideas varying from dresses, lingerie, accessories, jewelry, shoes etc. There is no other sketchpad that can combine all parts together so that all your design ideas can stay together organized and accessible any time you need it.